Part of a series of profiles on writing retreats. Every summer for over 40 years, the Community of Writers at Squaw Valley has brought together poets, prose writers, and screenwriters for separate weeks of workshops, individual conferences, lectures, panels, and readings. An alumni listing of the Community of Writers at Squaw Valley reads like a Who’s Who of American literature. The list includes Richard Ford, Michael Chabon, Mark Childress, Amy Tan, Anne Lamott, and Jennifer Egan. The conference is a family affair. Novelist Oakley Hall was one of the conference founders, and his family continues to manage the conference, with three generations coming together every year in Squaw Valley, California. Hall’s daughter, Brett Hall Jones, is the conference's executive director. She lives in Nevada City, California, with her husband, novelist Louie B. Jones, and her 13-year-old son, Dashiell. Her older son, Hunter, attends Georgetown University. 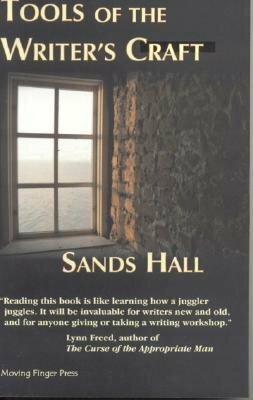 Brett’s sister, Sands Hall, leads workshops at the conference, and also teaches creative writing at Franklin & Marshall College in Lancaster, Pennsylvania. 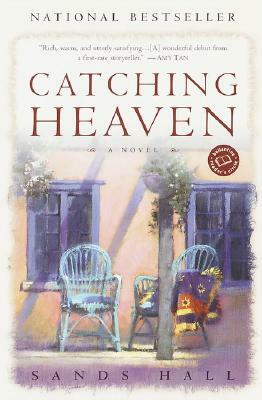 She is the author of the novel, Catching Heaven, as well as a book of writing essays and exercises, Tools of the Writer's Craft. Writer Marianne Lonsdale, an alumna of the Community of Writers at Squaw Valley, spoke with Brett in Nevada City and Sands in Lancaster to discuss their work, their lives, and the legacy of their family. Marianne Lonsdale: How do you describe the conference to someone who is not familiar with it? Sands Hall: Squaw was one of the first conferences to be established in the West. The structure is 8 to 9 hours a day of workshops, readings, and panel discussions. Most participants aren’t writing much during this week. I tell writers to come prepared to immerse themselves, and then go home and recover. Then sit down and write. Brett Hall Jones: The focus of our conference is on writing. The focus is not on publishing. We also want to keep the conference limited to a small number of participants. These were philosophical decisions made in those early days, and confirmed over the years. Some of the founders moved on to form conferences that concentrate on the business aspects of writing. The fiction and nonfiction writers meet in critique workshops for the first half of each day, and then there are panel discussions, readings, and group dinners. Each writer also has an individual consultation with a writer, publisher or agent—these pairings are carefully matched. The poetry conference is a separate week and operates in a different manner. Poets write a poem a day. Feedback is provided on what works in the poem—the work is too new, too fresh to focus on what might not be working. So the poets do write every day and an anthology of that work is published each year. This was an original approach at the time the poetry conference started, but it’s now used by other conferences and writing programs. ML: How have your roles changed over the years, and can you each tell us about your personal and professional history with the conference? BHJ: It’s a family run conference. Our mother, Barbara Hall, is still on the Board of Directors at age 90, and attends the conference each summer. I help with Mom’s care during the year, but then the family all comes home for the summer to help with the conference and to attend to mother—my sisters, our partners, and our children all help. The conference is a wonderful imposition on our family. I took the executive director position in 1991, the year my oldest son, Hunter, was born. I was a photographer living in Southern California, but would return to Squaw during the summer to help with the conference. When my son was born, we moved back to Northern California to be closer to the rest of the family. I remember nursing Hunter while sitting at a computer developing a database. I have so many memories from the conference. When I was a little girl, there were few dining options at Squaw Valley, so my mother and I made sandwiches and soups and sold them to the writers. And although I helped out, I also had more freedom than usual in the summer because our parents were busy, so I could get away with things. One year I went and had my ears pierced. I lied to the woman who pierced them: I told her my mother had given me her permission. SH: I missed a few years in the 1970s. There were years when coming home felt like being tugged on a leash. Now the time feels so precious. I’m a faculty member and perform several functions. I am a workshop leader, and I also meet with writers in one-on-one consultations. I open the first day of the group workshops by giving a talk, How to Workshop. In addition, every afternoon, I lead an open mike workshop where readers are selected by lottery. And then there’s organizing The Follies, our closing night talent show of staff and participants; that’s great fun and lots of work! We have musical acts, stand-up comedy, dancing—the show is different every year. ML: What are you working on when you’re not at Squaw? SH: In the summers, I’m also on staff at the Iowa Summer Writing Festival—I spend time there after Squaw Valley. I’m writing a memoir that includes many memories about the conference. There have been a few themes aside from writing over the years—in this chronological order: tennis, children, music. Our parents and their writing cronies played tennis throughout the summer. Then, as our generation took a more central role, our children and those of our faculty played in the valley and at the conference. There were always children running around, cuddling on laps. And now music is such a part of The Follies, which has led to practices and jams throughout the week. BHJ: I’m always working on conference activities. I have oversight of all aspects of the conference: inviting staff to teach, housing, food and travel arrangements, setting up special events, finances, fundraising, board meetings and minutes, and maintaining our nonprofit status. Unlike many other conferences, we have no support coming from commercial interests or colleges. ML: Brett, your husband, Louie B. Jones, is a novelist. Did you meet him at Squaw? BHJ: Yes, Louie was a scholarship student from the University of California, Irvine. I just thought he was so cute. I followed him around until he started paying attention to me. And now we’ve been married since 1988. He’s the co-director of the fiction workshops at the conference. ML: Applying to Squaw is a competitive process. Can you explain how participants are selected? BHJ: The selection process varies by area. Each area uses different approaches. The poetry director wants a diverse group of participants and so looks for a wide range of styles, ages, and backgrounds. He has each of his five staff poets take a fifth of the submissions and divide them into yes and no piles. Then the yes pile is ranked in best order and sent to the director who makes the final picks. For fiction and nonfiction, a committee reads the submissions and ranks them. They look for a good story, originality, potential, and whether we have faculty that can really help this particular writer. In addition to the daily workshops, we pair each writer up for an individual conference with one of our faculty, and much attention goes into that pairing. And for screenwriting, the director determines who will be accepted. Sending rejection notices is brutal. I hate that part of the job. But if writers continue to apply, they will often get in another year—partly because if they keep writing, they will get better at it. ML: How do you keep up with the accomplishments of participants? BHJ: A major focus of my role is to help and support alumni. Every summer we host an Alumni Reading Series, where former participants come back and read from works published after they were participants. We have several other ways that alumni keep in touch: a Facebook page, a Notable Alumni website, and an annual publication, Omnium Gathering, that lists publishing updates. The poetry workshop publishes an anthology every year. And alumni are often who we ask to lead workshops at future conferences. Later in their writing careers they may come back as faculty members. ML: So is the next generation part of the conference? Brett, are your sons involved? BHJ: Anyone who comes to the conference meets my kids. My son Hunter is a huge help at the conference each year and helps with the set up of everything. Dashiell hangs out with cousins and friends as well as helps out. He’s also performed in The Follies. SH: Our lives are bound by this conference. Other profiles in this series: A Conversation with Jennifer Bayse Sander. I loved this in-depth description of Squaw and how the family is so intertwined in its planning and execution. Lovely profile.